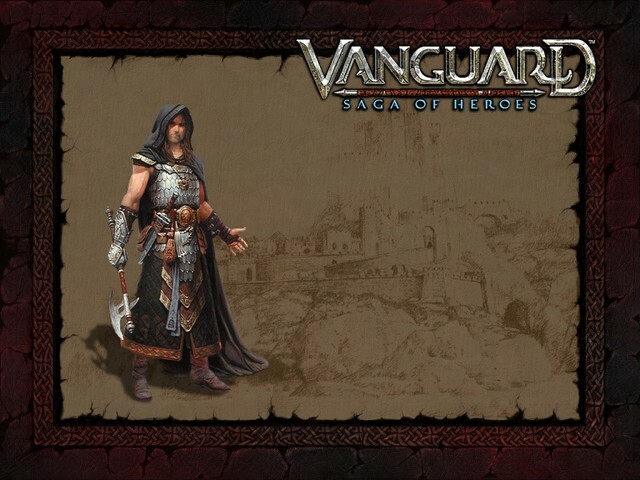 Home » Posts Tagged "Everquest 2"
Vanguard SOH producer Andy Sites just announced in his Producers Letter that Vanguard is going free to play this summer. No hard time lines have been set, yet. 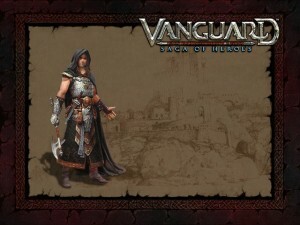 It is planned to have a subscription and item shop model similar to Everquest, Everquest 2 and DCUO. Sony Online Entertainment has also put a transition team together that consists of developers familiar with the Vanguard property and the world of Telon. This move has been expected for a good while now, fueled by the announcement that Everquest Classic is going free to play as well. Some of my posts are triggered by the blogs I read, but end up looking only remotely related to the original content. This is one of them. A couple of blogs started to complain about WOW’s revamped “Scroll of Resurrection” (Bio Break, MMO Quests, Corpse Run). Among other things, players returning to WOW can get an instant character at level 80. Which leads to the question, why would it be advantageous to have an instant, content skipping, nearly painless level 80? Of course the assumption is that players, and in this case returning players want to play with their friends. And an instant level 80 might just be the solution for some of the returning players, some of them having gone through the content way to many five times. 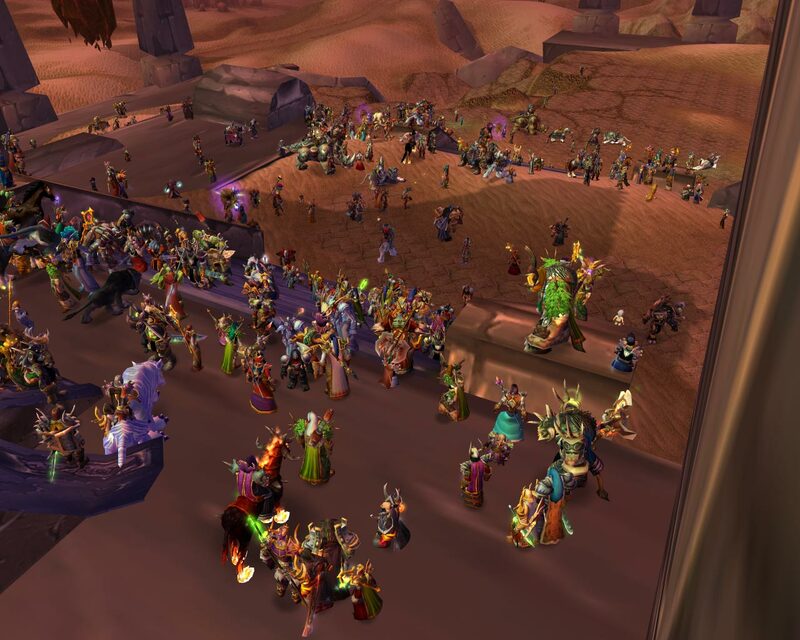 Others would love to go through the WOW-Cataclysm content, but fear they will face empty or low populated zones on their mature servers. Of course new players face the same problem if they pick a mature server. WOW offers the LFD tool as a partial solution, where it matches you up for dungeons with players from other servers. Which doesn’t help in non-dungeon areas, especially if the zone is structured in a way where it is advantageous having multiple players adventuring nearby. For instance, to quickly drop a tougher NPC together and continue soloing. Rift’s zone events and open grouping or WAR’s area quests are similar, since you will need more people in the same zone. Disclaimer: I haven’t been playing Rift lately, so I don’t know if there is a solution in place. Competitive players and guilds face also problems with a multiple server environment. The major one being recruiting. 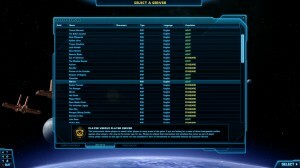 A server is usually to small to sustain many high end guilds and recruiting often happens cross server. A server transfer costs money, but is usually not that much of a problem. Cross server communication is harder. It usually happens offline on forums and can become clumsy, if those forums are spread out. The EQ/EQ2 cross server chat is nice, but you still need to know on what server you’ll find your partner. 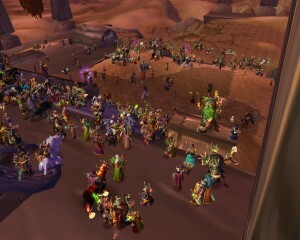 If WOW puts already player from different servers together temporarily, why not drop the shard concept all together? Why did we have them to begin with? Part of the transition from multi user dungeons (MUD) into Massive multi player role playing games was the need to spread the players out across multiple servers, simply to handle the need for server capacity. The games architecture just couldn’t handle more. The ability to multiply the name space and have multiple versions of “Chug Noris” was nice to have as well. And lastly, new players could be sent to newer servers to get a better social experience with people in the same level range. 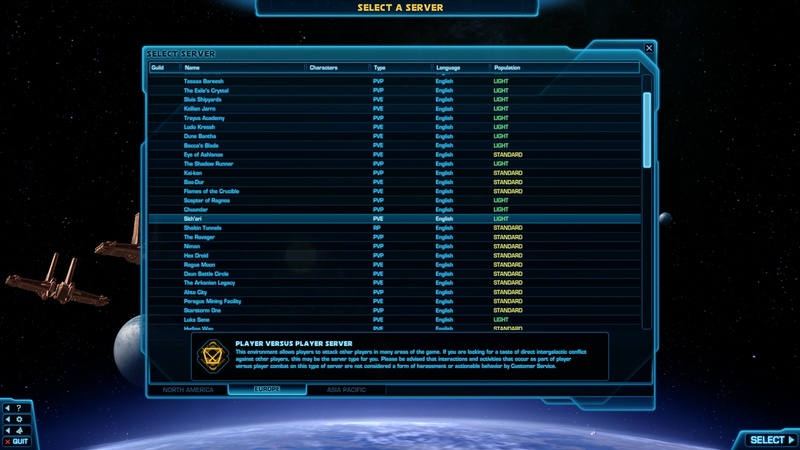 But, as EVE and the zone instancing of EQ2, Rift and SWTOR shows, modern architectures can handle more than 2500 players online at the same time on a single server. (2500 used to be a common assumption for server capacity). Zone instancing, were a zone gets duplicated once a certain number of players is reached, was introduced with EQ2. This eliminates one big problem, the number of interactions between multiple players. It just won’t work well if your graphics card has to draw 200 characters around the bank in Stormwind and it causes similar problems on the server side as well. On a single server all players in the same level range can play together in a zone appropriate for this level. They will be split into multiple instances of the same zone as the number of players increases. New players, returning players, and players leveling an alt would all be together and could certainly achieve objectives meant for more than a single player. The highest number of instances I’ve seen was 10 for the New Halas area on the Freeport server in EQ2. It can still happen that a zone is empty at the wrong time of the day, or, what’s worse, if the game is in full decline. Which leaves the problems with chat. Multiple instances of the same zone should share a chat channel, otherwise it becomes harder to find groups. This will meet limitations, once the chat channel becomes an unreadable scrolling stream of text. But at that point, it is probably fine to have multiple instances of zone chat as well, perhaps mapping 2 chat channels to 5 zone instances each. There shouldn’t be global chat for the same reason, it will just become a huge scrolling wall of text, populated with attention seeking trolls, looking for the widest audience. Guild recruitment and other recruitment for social activities will need a different medium. 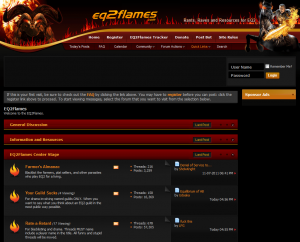 Again, look at EQ2’s guild recruitment tool and the LFD and LFR tools in WOW. Another effect which I have become aware of just recently are native language chat channels. Especially in Europe, the chat on the English servers is actually international: for instance Russian, Hungarian and English all together. Which makes things complicated. People have declared certain servers as unofficial Russian servers, which causes problems for the remaining native English speakers. A single server concept helps, since it just needs to create chat channels for each major group. And with a single server, it is easier to reach critical mass for a single new language channel. There is one limitation to the single server concept: Geography. Just to throw out a number, a latency of more than 200 ms becomes unplayable, less than 100ms is desirable. Internet architecture and physics make it nearly impossible for an Asia Pacific player to have less than 200ms round trip time to an US based server. Thus, if the subscription numbers allow for it, there should be at least one server in each major region: EU, NA, AP. Brazil is also an option to place another server. And finally, WOW, with 13 million subscribers at peek has 4 data centers in the US and 2 in Europe to handle the load. I don’t have any hard evidence, but it’s hard to believe that a single server architecture could handle 13 million subscribers. Thus, some division is needed in the end, but not at 2500 online players (wild guess: translates to 20,000 subscribers), but at a much larger number >300,000 subscribers. One problem remains, but EVE has a solution for it: fleet battles or epic scale PVP with thousands of participants. I don’t have much technical insight how it is being solved, but I am sure there will be certain hard limits as well. Space battles are probably easier to handle, since the ships won’t get to close to each other, but your graphics card still has to draw at least some dots and laser beams. However, a multi shard concept won’t even attempt fleet battles. I just don’t see why the MMO makers stick with the multi shard concept. They face the challenge of long queue times during the opening weeks, and empty servers thereafter. I googled a couple of questions to research this article, but there wasn’t much of an answer to “Why multi shards”. I have only one conspiracy theory to offer: the game companies make money with server transfers, but I just can’t bring myself to taking it to serious. There’s a little meme going around on the blogs I read: Are you returning to MMOs you have left? Do you have favorites you return to multiple times? Syp at Bio Break and Syl at Raging Monkeys have something to say about the issue. Before I can tell you which games I am returning to, it might be helpful to know what is currently on my hard disk. On second thought, I shouldn’t do that, considering how many of tags and categories this will produce. DDO Played on opening day, returned two or three times once it was free-to-play. Spent hours playing with the offline character generators. Guild Wars Did only a trial. Not sure why I didn’t stick with it. Tried it only years after it came out, and most likely was waiting for another game to come out. Istaria Friends of mine beta tested it way back when. It has certainly a sandbox feel. And is free to play now. Star Wars Galaxies Can’t delete it, yet. It has been played only before the revamp. Syl was talking about nostalgia. There it is. STO Tried it in Open Beta and a few weeks back, still don’t like it. Aion Will certainly go back, just because of the looks. Age of Conan Played it for a while, even got a guild started, might even try to go back some day. Uncounted numbers of betas, open betas, some f2p’s which I didn’t enjoy and pretend not to remember their names. Rift has just fun mechanics, dynamic events and some other nice features. Everquest will be a nostalgic return to the roots. After all, I started a few weeks after Velious came out. I like Fallen Earth because of its sandboxy feel, and to be honest a little bit because it used to be so close to home. Everquest 2 is halfway nostalgia and halfway amazement that it keeps coming up with new stuff. I know I will be rolling a monk and a panda on WOW, not necessarily a panda monk, though. Pure curiosity. 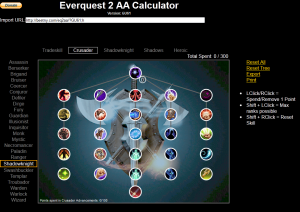 Beetny.com is an Everquest 2 AA calculator. It helps planning and visualizing your AA distribution. Currently there is only a GU61 version, pre-Age of Destiny available. You can assign AA’s for all 24 classes and in all 5 talent trees. The tree can be exported and stored in a bookmark or printed with skill levels and descriptions. Aaah, EQ2flames. Where the children run wild, but the adults usually win. It’s a very interesting site. A web forum which is not controlled by SOE and has a very liberal policy regarding its content. As the name says, flames are fine, but there are a couple of common sense rules to keep the children in check. And guess what, the site works. Nonetheless, people vent, have to blow steam, but only the truly socially inepts expose themselves. What remains is usually decent material.